I, like many others haven’t had any success with combs, also, my hair and scalp have been very happy without them. 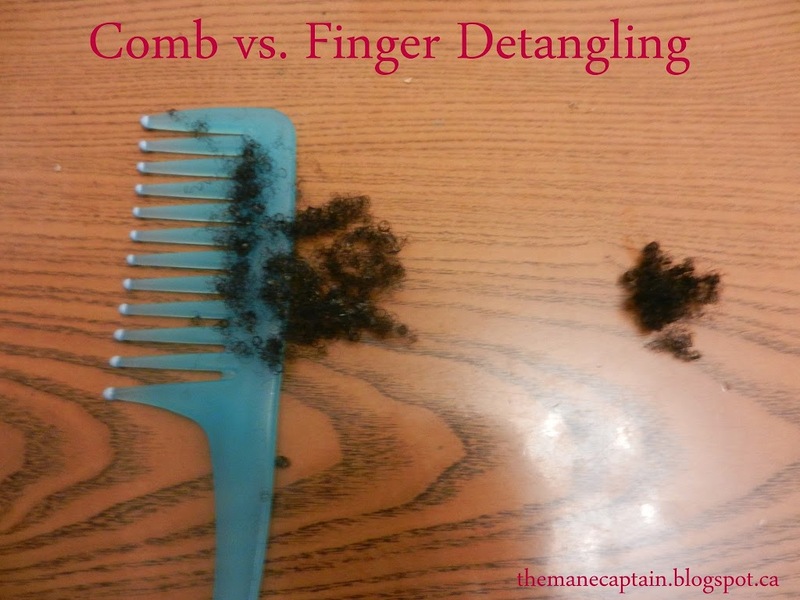 As you can see from the picture above, hair loss with combs is about 3 times that of finger detangling. The reason for this is that combs are an aggressive tool which are used to forcefully remove knots and tangles in the hair. Even if you use the best combs ever known to man and are very gentle with your hair when combing it, you will still end up with more hair loss than normal. The amount of hair that you lose to a comb will be dependent on your skill level with combs. In that someone who is very gentle and patient will lose less than someone who is rough and in a rush. What combing and forceful tearing does to your hair. How does a comb cause more breakage and retard growth? Because combs can’t feel the tiny knots and tangles your fingers would feel, it will separate the knotted hair by breaking them apart. This leaves broken fragments on the comb, floor, back or wherever they happen to land on. 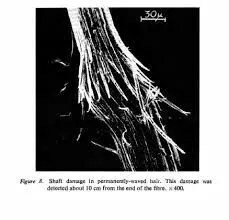 The end result of this forceful breakage is split ends which will turn into splitting ends and continuous breakage, ultimately leading to retarded hair growth. Aside from the aggressive and damaging hair trims combs causes, it also causes an early and traumatic shedding. The pain you feel on your scalp when you force a comb through your hair is a result of hair that are being uprooted way before they reach the end of their growth cycle. Hair that has been uprooted with a comb are being robbed of their growth potential because they are unable to grow to the maximum length which genetics have programmed them to grow to. The breakage and early shedding which combs causes are the major reasons why many have been led to believe that their hair can never grow past a certain length. When the truth is that they are the ones that have been killing their hair with an innocent weapon, which is the comb. But if they can stop or reduce using combs and other hair tools which are damaging to the hair, they might be able to see length overtime. What has your experience been with combs? I think you’re one of the few people that I know uses a comb successfully and whose hair or child’s hair needs it. I never go for 100% detangled hair so my fingers are sufficient. But we can agree that the majority of us don’t know how to use a comb properly and for the few who can, our hair is just too fine and fragile to be combed.